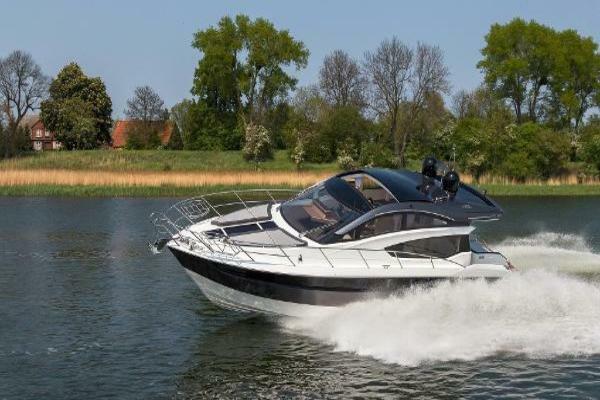 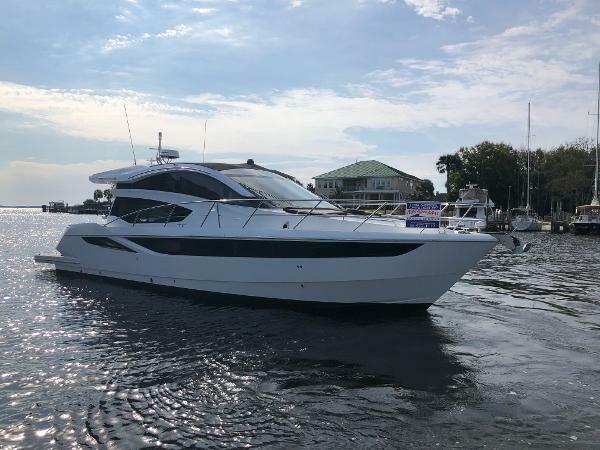 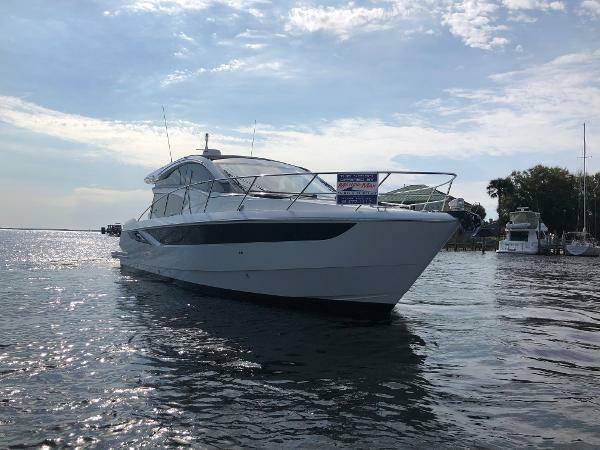 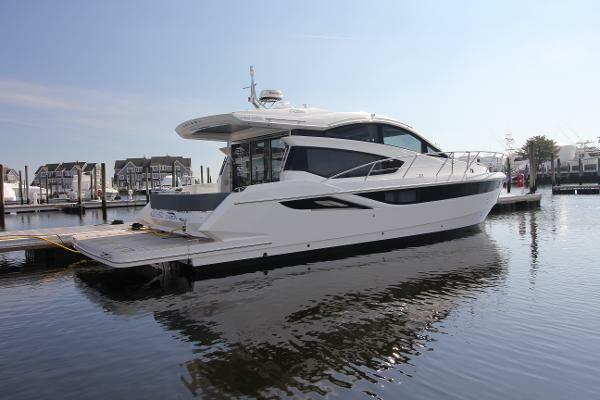 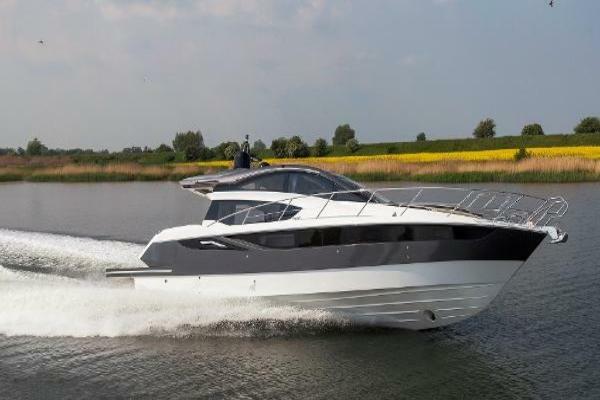 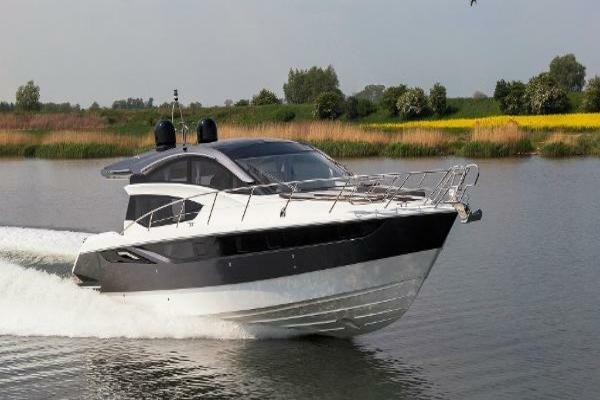 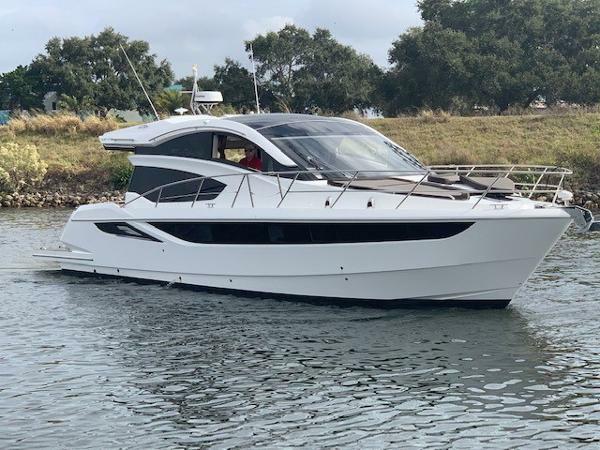 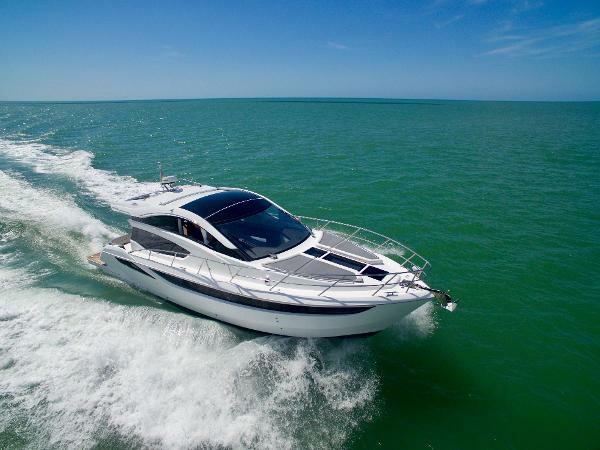 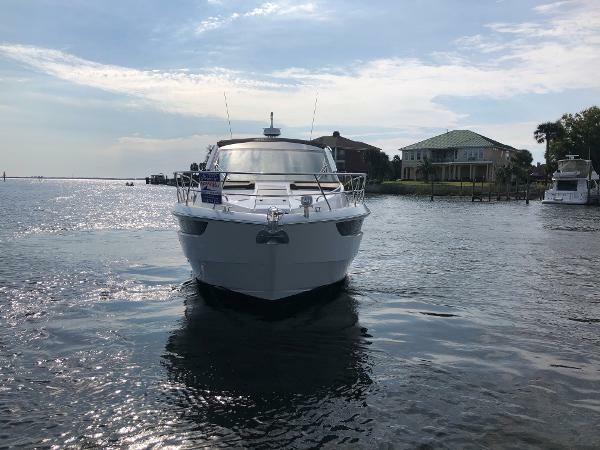 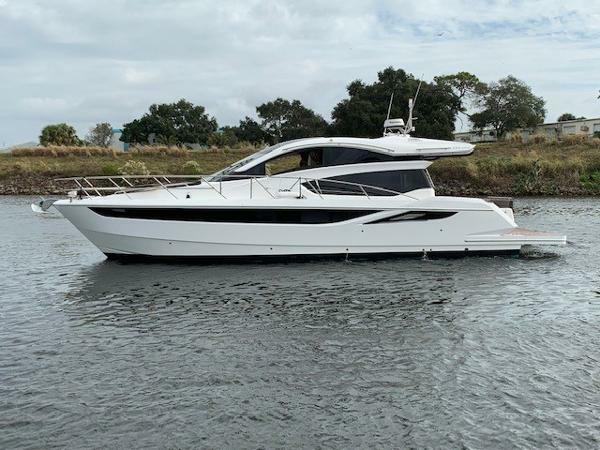 2018 Galeon 435 HTS- inboard Galeon extended and refreshed its mid-range segment with a hardtop variant of the acclaimed 420 FLY. 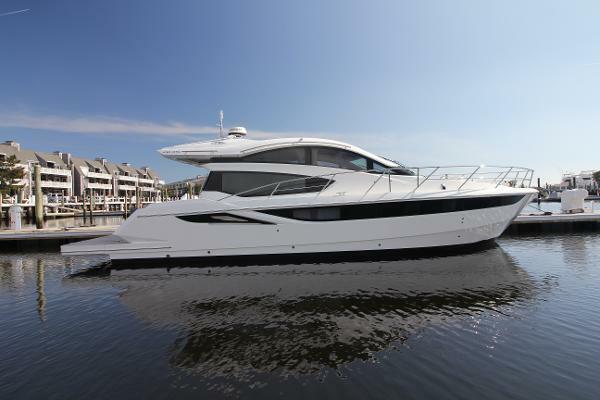 The main focus of the design was to flawlessly integrate a bright and welcoming interior with the sporty and dynamic character of the 430. 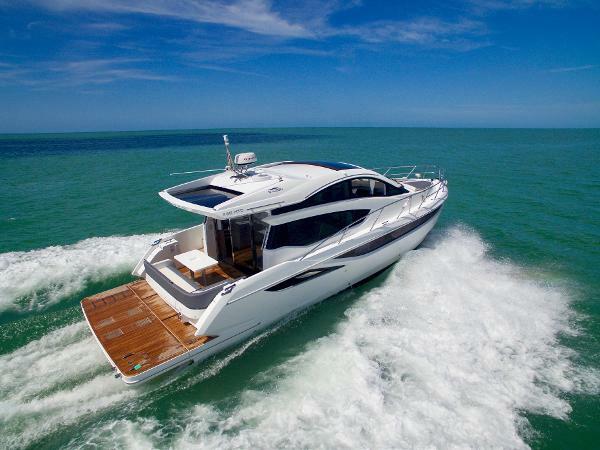 The forward-facing glass roof effortlessly slides back yet is quick to close if the weather gets harsh. 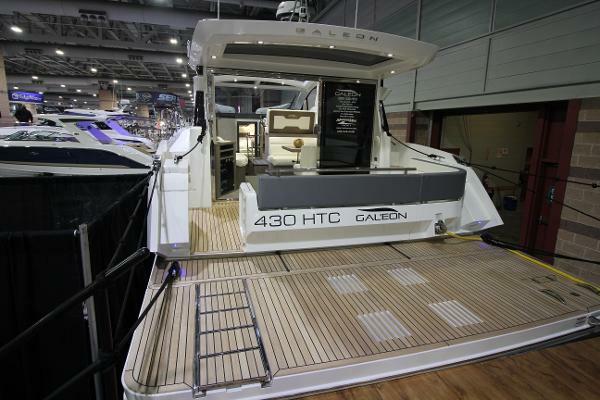 Notice the single sliding, glass panel over the cockpit area as well as the patio doors granting easy access to the saloon. 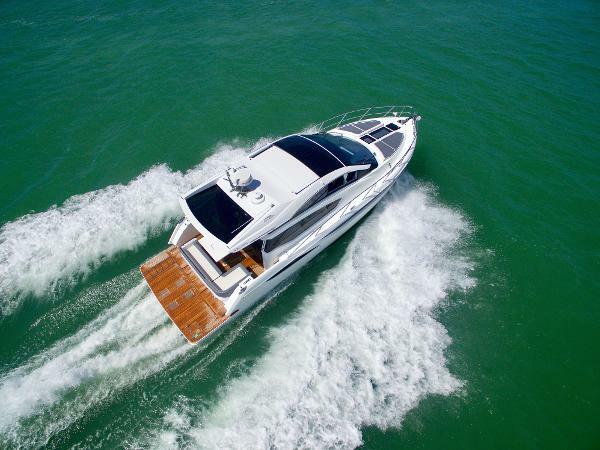 The aft-facing loungers will slide when needed, creating either a great dining or leisure area at the stern. 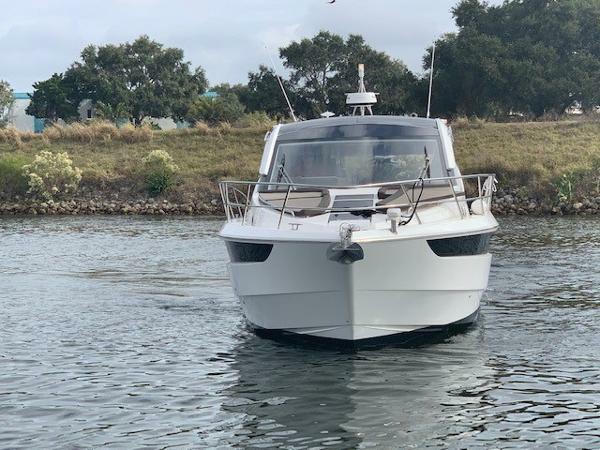 The main deck boasts plenty of space and features a dining table, sitting areas, a well-equipped helmsman’s station and a galley.